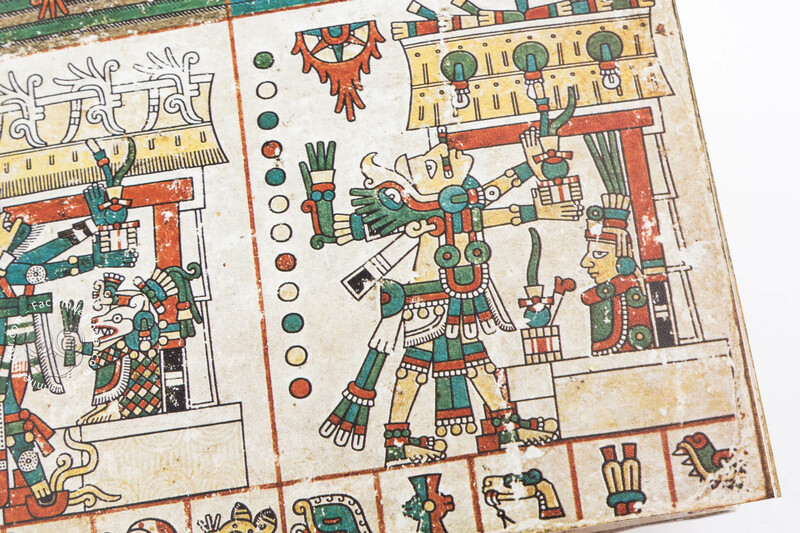 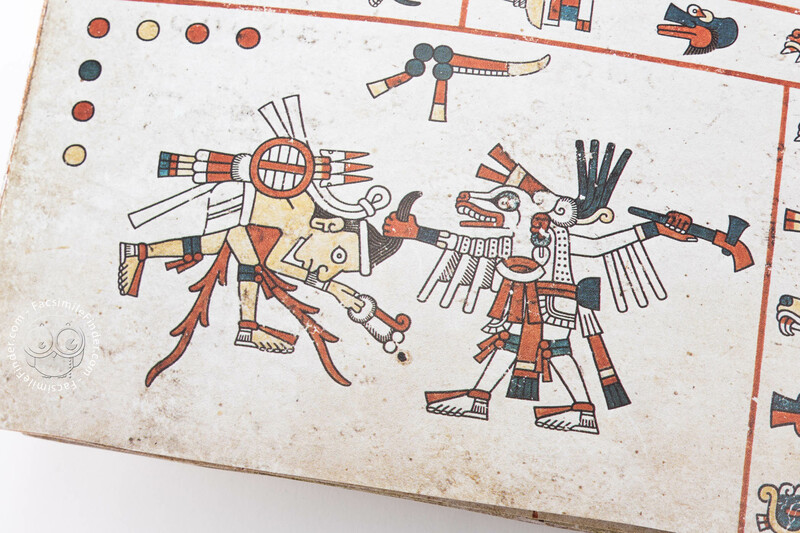 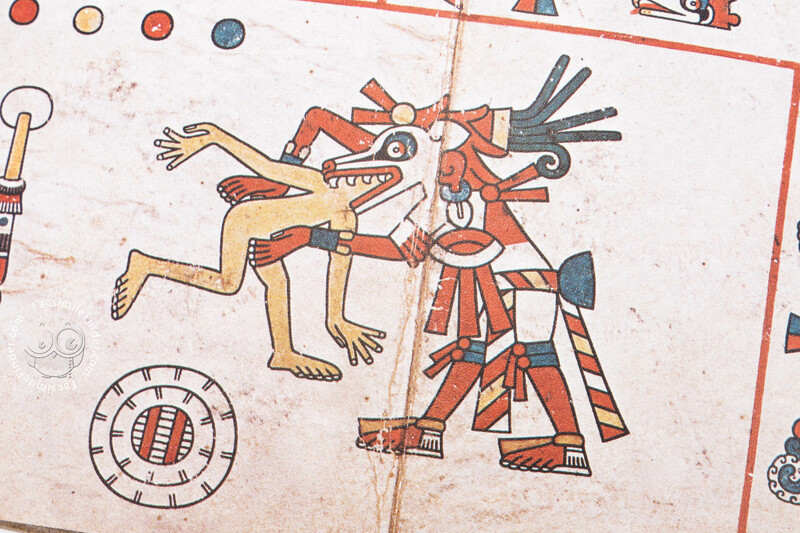 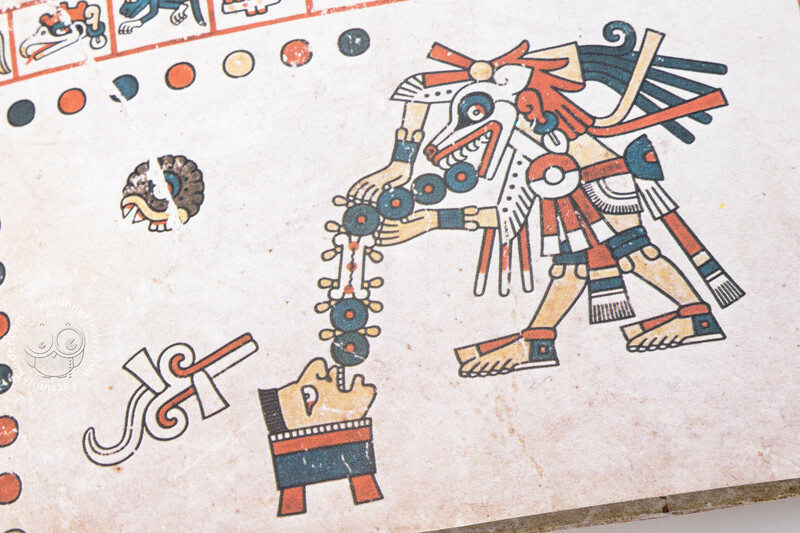 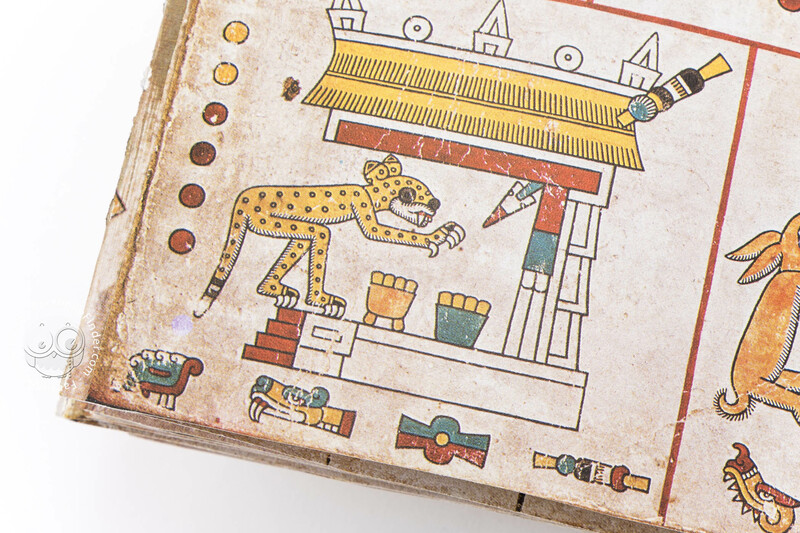 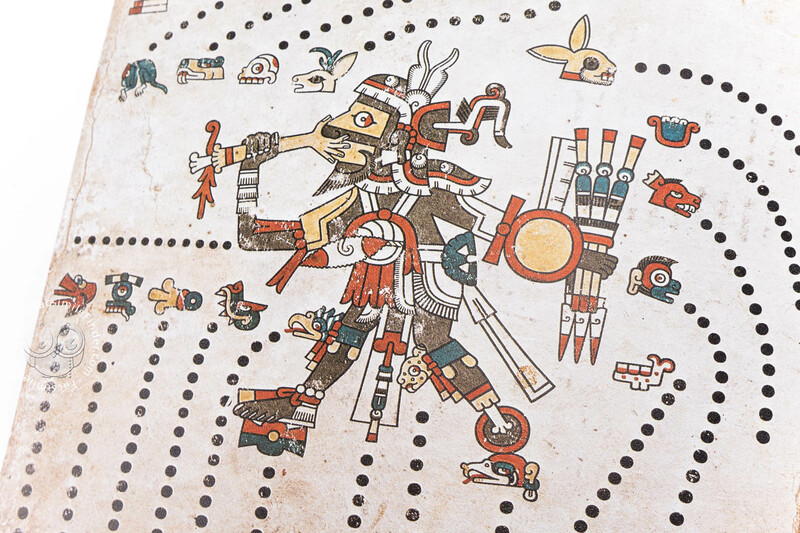 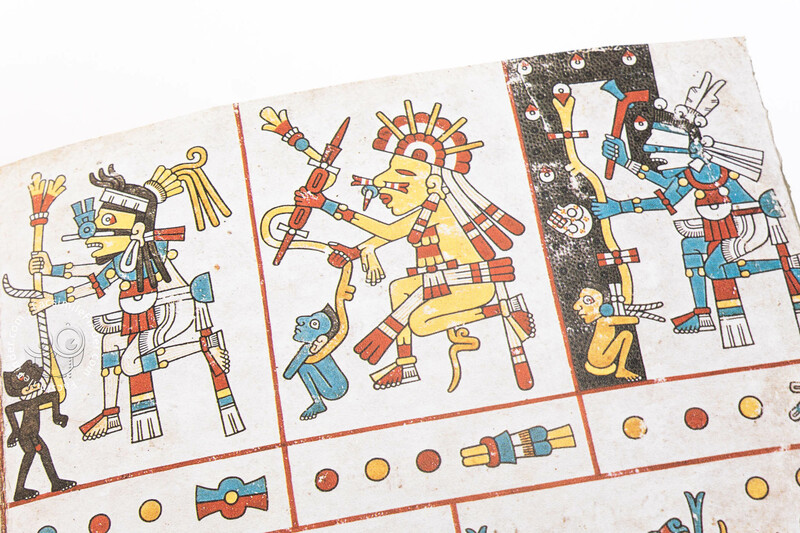 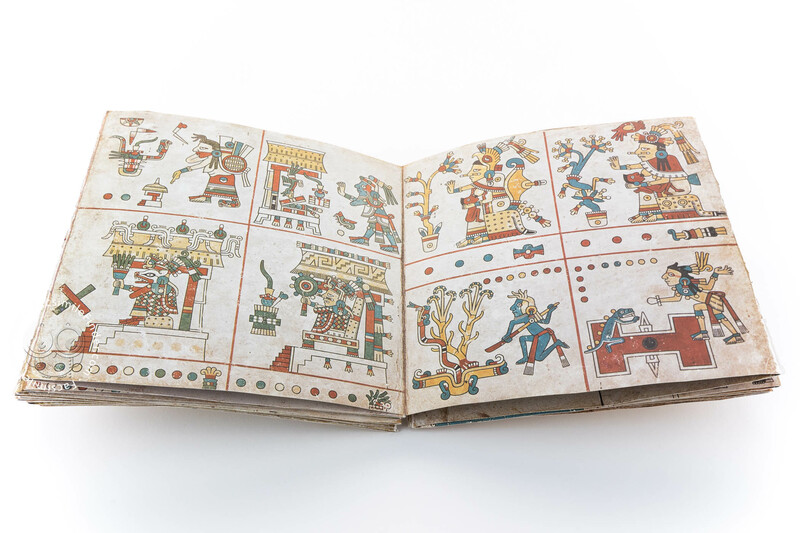 The aesthetics of the old Mexican illuminated manuscripts introduces the viewer into the world of reproduction – this access further supports the release of the Codex Fejervary-Mayer as volume VIII of the Codices Selecti by the Akademische Druck- u. Verlagsanstalt (Academic Printing and Publishing House) Graz. 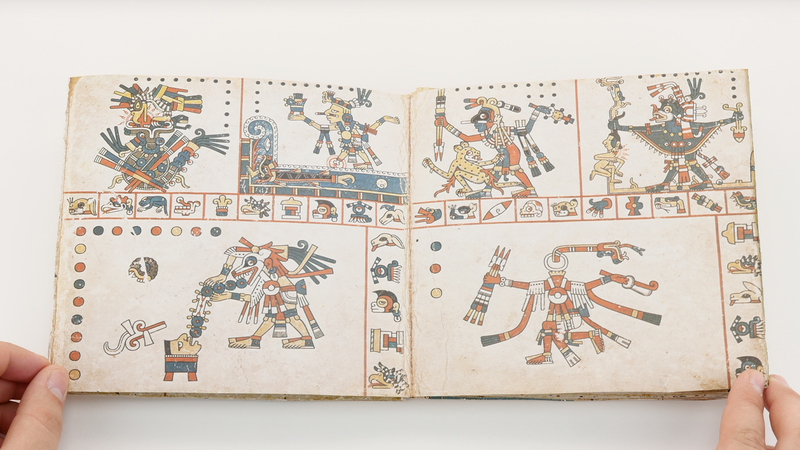 The precise contouring and brilliant colour demonstrate a highly exacting graphic style comparable to that found within the Codex Laud. 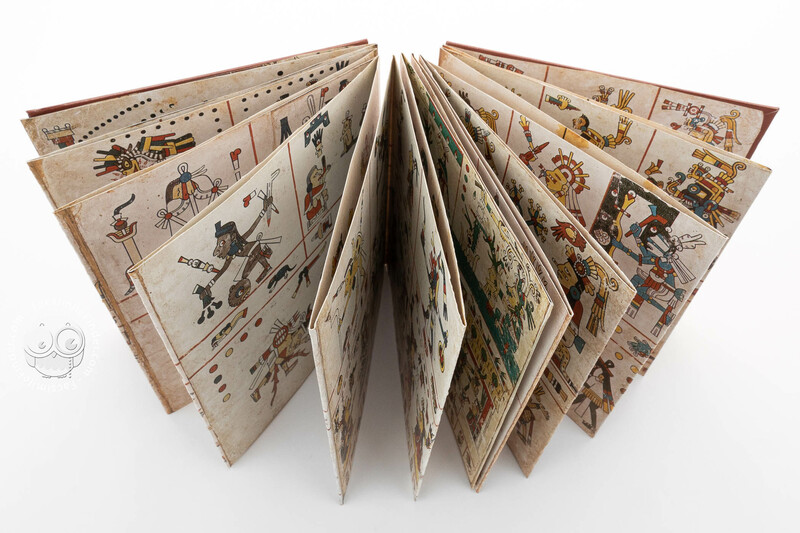 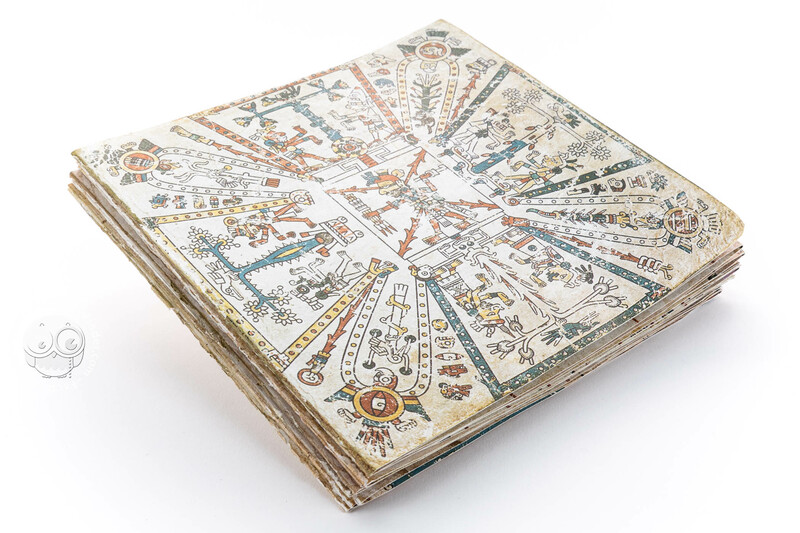 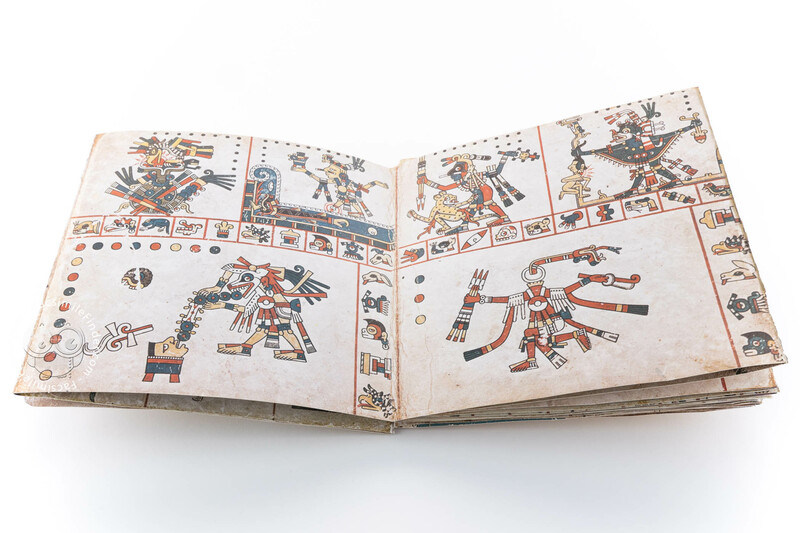 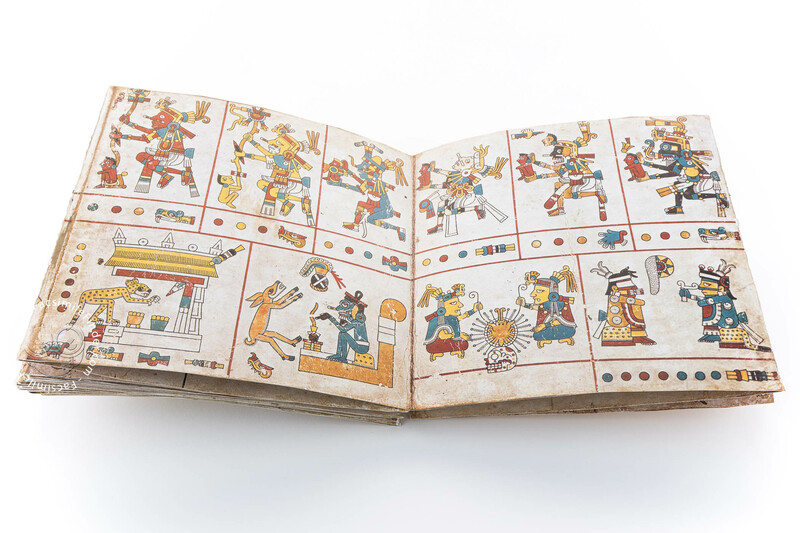 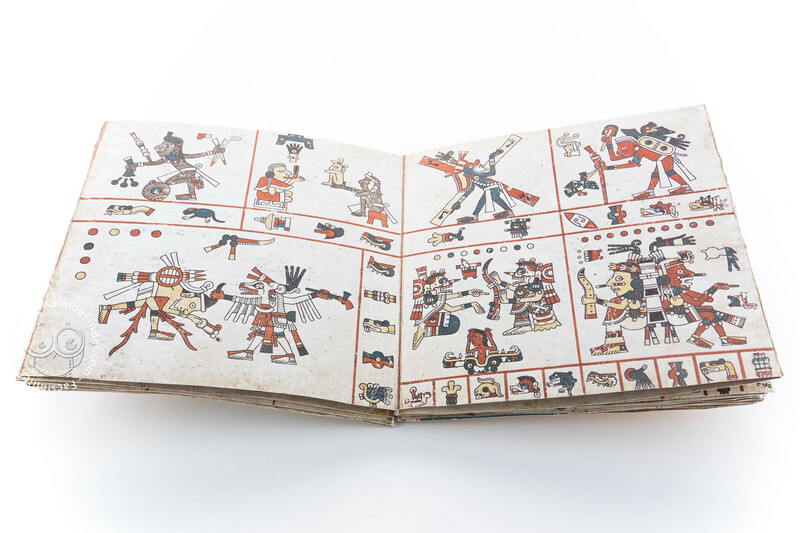 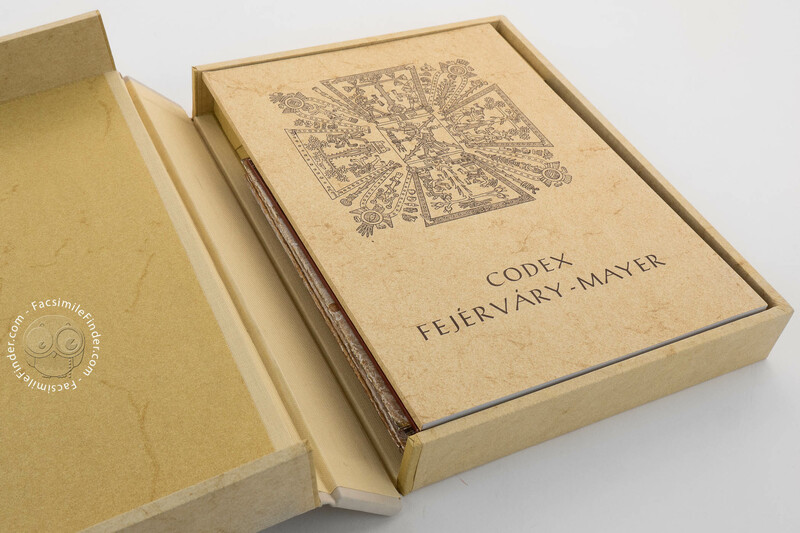 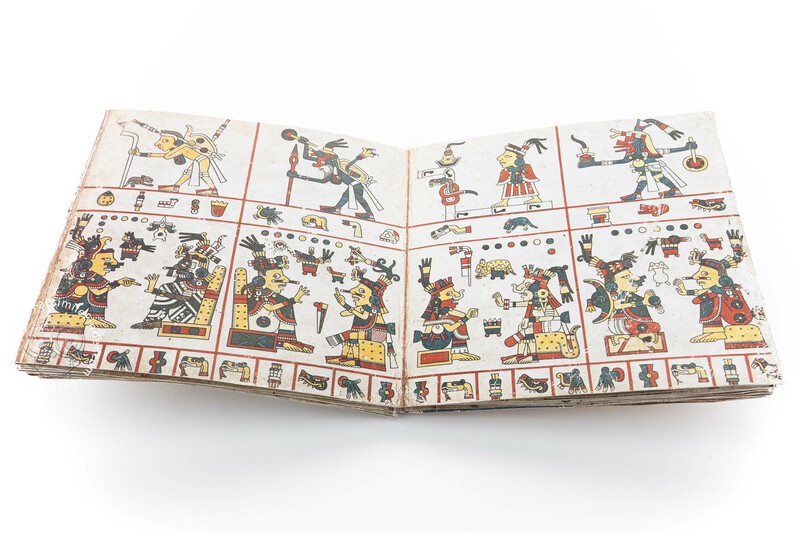 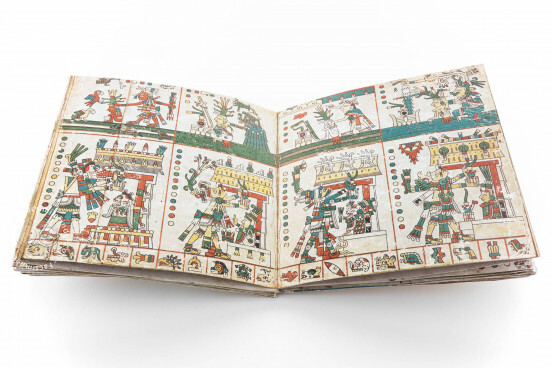 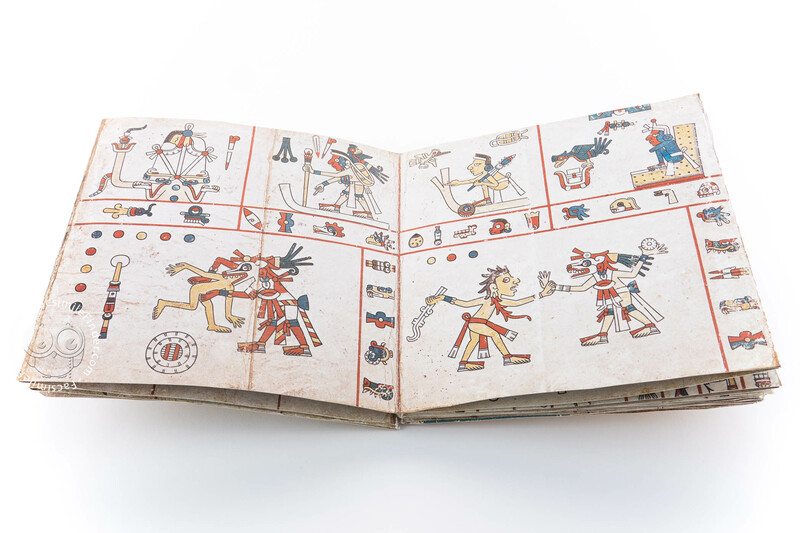 The codex Ferjervary-Mayer is in a folded book form made out of deerskin containing 23 well-used and well-preserved leaves whose stucco coating serve as a base surface for the book painter to work on. 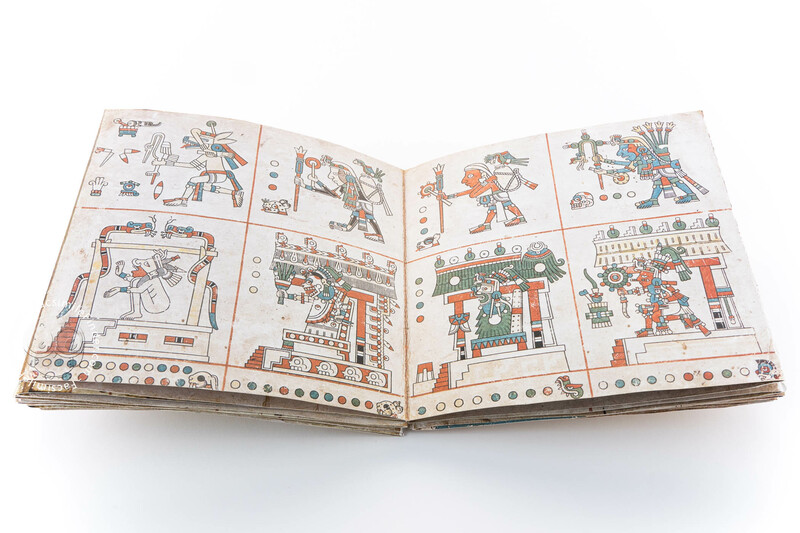 With regards to the history of the codex, only the journey from Hungary to England in the 19th century is well-known. 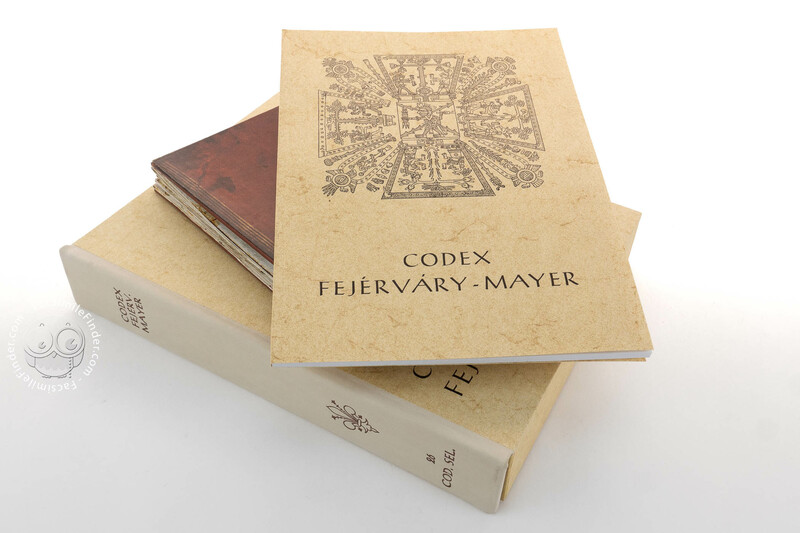 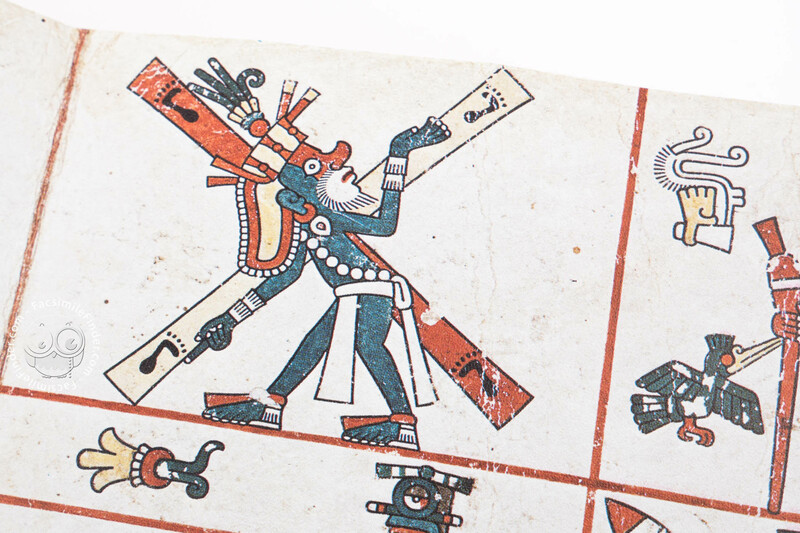 The quadratic shape of the Codex Fejervary-Mayer resembles to a large extent, that of the Codices Laud and Cospi; this similarity between the three illuminated manuscripts is further emphasized by the common depiction of the illustrated number “5”. 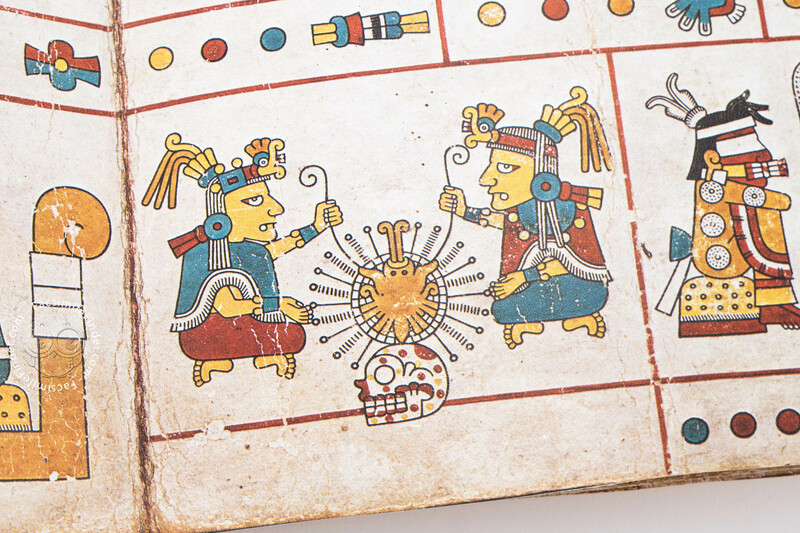 In this regard, a sub-group is created and sets itself apart from the so-called Codex-Borgia-Group. 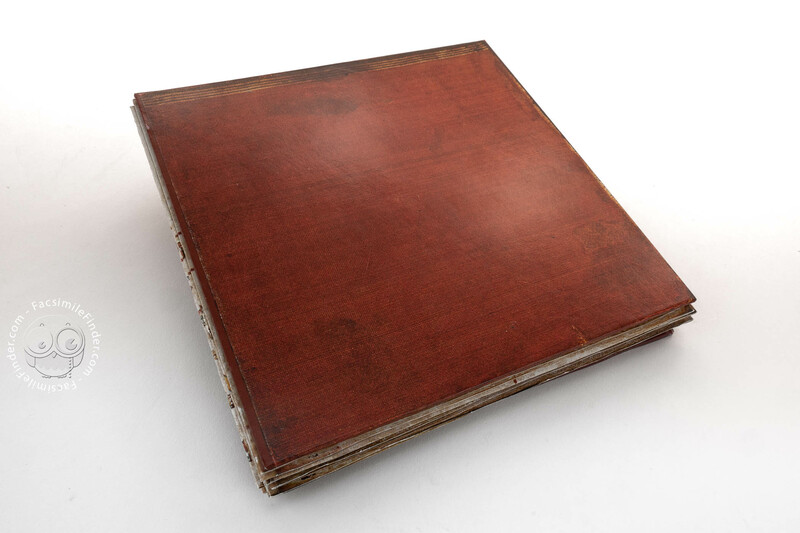 Manuscript book on parchment − 17.5 × 17.5 cm − 46 pp. 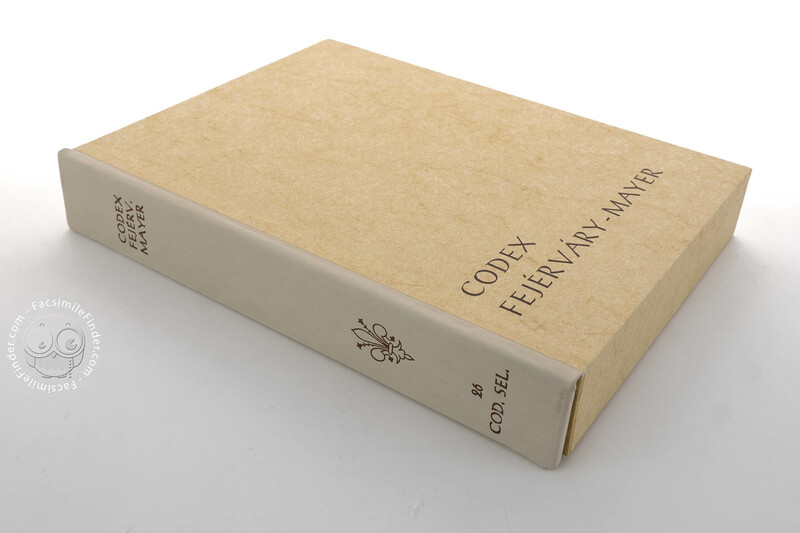 Commentary (German) by Burland, Cottie A.
Full-size color reproduction of the entire original document, Codex Fejérváry-Mayer: the facsimile attempts to replicate the look-and-feel and physical features of the original document; pages are trimmed according to the original format; the binding might not be consistent with the current document binding. 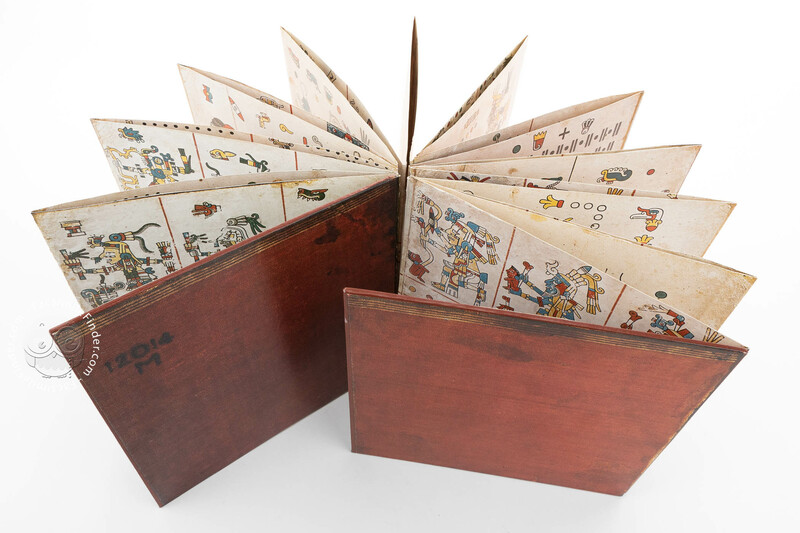 Facsimile in leporello folding. 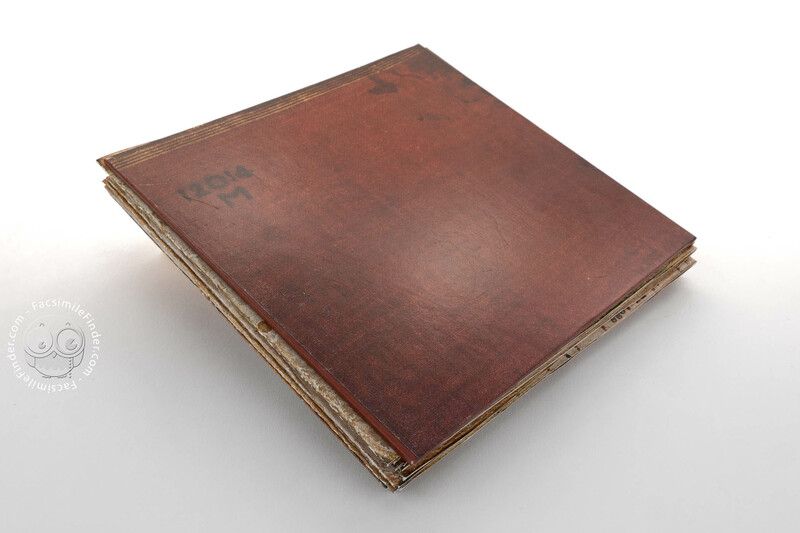 Encased in box with leather spine.